The grand, luxury, thirties-style villas in Noordzee Résidence Dishoek are spread out over this small-scale, intimate resort. There are three different types of 4-person villas. For example the standard type (NL-4371-02). There is also a 4-person villa with covered terrace and terrace heater (NL-4371-03). For outdoor-cooking enthusiasts, there is a 4-person villa with covered terrace, terrace heater and outdoor kitchen (NL-4371-04). All villas have a modern, complete and comfortable interior. Each villa features a garden with terrace, garden furniture (lounge set) and parking space for one car. In addition, there is a washing machine and dryer, dishwasher, combination microwave, Nespresso machine, underfloor heating in the living room and free Wi-Fi. All beds are comfortable box-spring beds and each bedroom has an en suite bathroom with sink and shower. Your stay in a villa includes made beds upon arrival, cleaning after departure, a coffee/tea set and a Rituals toiletries set. On the day of your departure, we will also empty the dishwasher and change the bed sheets for you. 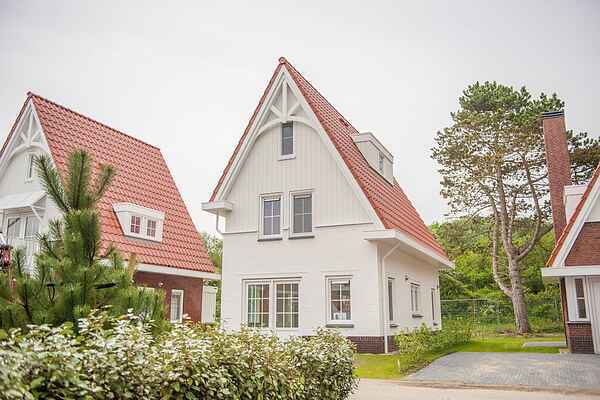 There are also 6-person and 8-person villas available in resort Noordzee Résidence Dishoek.